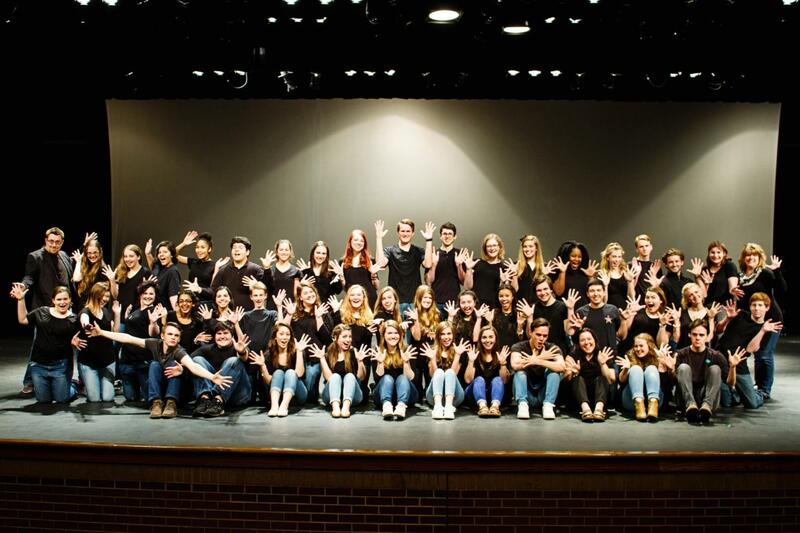 Coppell High School drama club poses for a club picture in the Black Box Theatre. Each year the club hosts a Dinner and a Movie event, which features a movie with food to watch the film. 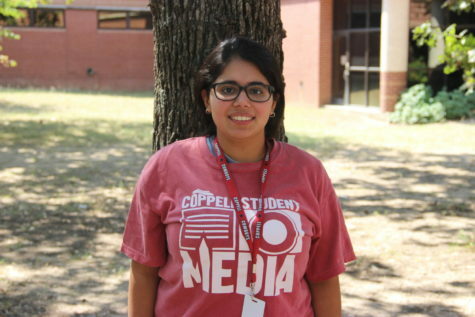 There are few instances when the Coppell High School Drama Club is sitting in the red-cushioned chairs of the audience and not on stage performing. One of these instances is when it is hosting Dinner and a Movie. Tomorrow in the Black Box Theater (F102B) starting at 4:20 p.m. is the annual Dinner and a Movie. This tradition has been favored by many theater students as they have a chance to come together and enjoy a movie of their choice. Starting last year, the @CHStheatre_ Twitter account created a poll including four options for the movies with matching food choices. The poll closes at 7:30 p.m. tonight. Before last year, the drama club officers would announce a movie and the food theme of that movie. This year, the options are: Cloudy with a Chance of Meatballs with the dinner option of spaghetti and meatballs, Newsies with New York pizza, Tangled with spaghetti and Mulan with Chinese food. The idea of choosing a food option which mirrors the theme of the movie is to provide some continuity. The poll increases involvement and sparks a competition among the theater students. Transitioning from an attendee to an organizer is a change that Purser seems to enjoy.